That last, idyllic English summer of 1914, Hugh Grange, a young medical student, has come to rural Sussex to visit his beloved Aunt Agatha and Uncle John. As the protegé of a famous surgeon who has all but invited him to marry his pretty daughter, Hugh may be forgiven for thinking he has the world on a string. However, two obstacles emerge to his plans. 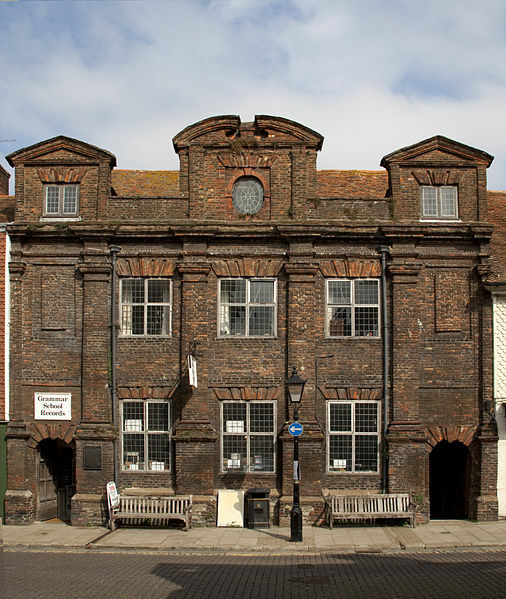 Obviously, one is the coming conflict, of which just about everyone remains blithely ignorant in this lovely town of Rye. The other is Beatrice Nash, a young woman hired to teach Latin at the Rye grammar school, a subject traditionally a male preserve. She owes her job to Aunt Agatha, a closet feminist but no “suffragette,” who has politicked, plotted, and flattered to get the old-boy network to accept her protegée. Beatrice is intellectual, serious, and a freethinker–much like Hugh–whereas the surgeon’s daughter is a flirt, a twit, and a social climber. So there’s even less doubt whom he’ll prefer than what’s about to happen to Europe. That predictability plagues much of The Summer Before the War. Simonson sets her battle lines right away, so that you can tell the good guys from the bad guys, or, when there’s less question of good versus bad, who’ll survive and who won’t. Her upper-class characters are completely detestable, but they’re stick figures, mere attitudes on two legs, and therefore easy targets. To cast doubt on what seems ordained, Simonson employs the “no–and futhermore,” often with skill, but toward the end especially, the story feels contrived and resolutions too neat. It doesn’t help that the novel has one or two superfluous subplots. Beatrice’s struggles are more compelling. She has to play the upright spinster so that the school worthies will hire her, because only a young woman of irreproachable character may come in contact with impressionable youth. Meanwhile, of course, said worthies have nothing but contempt for these lower-class children and would never lift a finger to help them, whereas Beatrice actually believes she can bring light into their lives. Further, having catered to a domineering, scholarly father who has recently died, Beatrice should, in theory, have her meager inheritance, but (male) trustees prevent her from touching it. They, and others, assume that a “girl” of twenty-three can’t be independent without losing her virtue, a criticism that extends to her desire to write books. These are the parts of The Summer Before the War that I like best.
. . . between two large windows, an imposing, green malachite bust of Cromwell on a matching plinth so floridly carved with vines and flowers that Cromwell himself would surely have had it destroyed. Hugh was not familiar with any connection of the Earl North family to Cromwell. Perhaps, he thought, there was none and that was why the ugly heirloom had been consigned to oaken purgatory to intimidate unwanted guests. The Summer Before the War unfolds at a leisurely pace, for the most part. I don’t mind that, and I regret that so few authors these days tell stories that way; they probably figure their readers won’t have the patience. They may be right, but I don’t think length is the problem. It’s depth. We That Are Left and A Gentleman in Moscow, for instance, succeed by showing their characters’ inner lives so thoroughly that I don’t care how many pages go by. Conversely, when Simonson narrates an intricate story with half-full characters whose inner lives she tells in shorthand (“he felt such-and-such”), that’s when I become conscious of page numbers. I don’t mean to blame Simonson or single her out; I happened to read her at a moment when I’m redefining my standards. Many, if not most, novelists follow some version of what she does, which for me these days means that I can borrow a stack of promising books from the library and find only one or two that intrigue me past the opening pages. The Summer Before the War would have pleased me more had the author plumbed her main subject and characters to the greater depth. Disclaimer: I obtained my reading copy of this book from the public library. “Why is this night different from all other nights?” So goes the first of the Four Questions asked at the Passover seder by the youngest person there. And that youngest person, in many ways, is nineteen-year-old Jacob Rappaport, who flees his New York mercantile family in 1861 to join the army. He’s escaping an arranged marriage in which he’s a financial pawn–traded like human chattel, if you will–and the army seems the best alternative. It never occurs to him that he could simply decline the marriage, nor does he anticipate the Civil War, which breaks out a few months later. The following year, 1862, the word no eludes Private Rappaport once more when his superiors in the Eighteenth New York press him to undertake a mission behind enemy lines in New Orleans. They want him to poison his Uncle Harry, who, their intelligence tells them, leads a plot to assassinate Abraham Lincoln. Vulnerable to their shaming, anti-Semitic blandishments, Jacob agrees, which of course only confirms them in their prejudices. And when he returns from this mission, they’ve got another assignment–inveigle his way into the home of a Jewish Virginia merchant he’s met through his father’s business and marry one of the daughters. They’re Confederate spies, apparently. This sounds absolutely preposterous, but the genius of All Other Nights is that when you read it, your disbelief drops away. It’s not just that Horn has thoroughly researched daily life during the Civil War, Jewish communities of the 1860s, espionage, manners, or a dozen other things, though she has. It’s that I believe how lost Jacob is, how he longs for the same things as the people he’s working to betray, those human qualities so precious in wartime–kindness, a ready ear, acceptance, love. He’s enchanted to find that those qualities still exist, and he’s not being two-faced when he offers them in return, which makes him sympathetic. He thought of the filthy camps where he had slept and eaten for most of the past year, the mud-coated tents and the vomit-stained blankets on ordinary nights, and then the choking smell of already rotting flesh on those howling twilit evenings when he had clawed his way off battlefields, the night air riven with the long screams of those not yet dead. It suddenly seemed impossible to him that those places and this room could exist in the same world. He looked around the table at the faces of the chattering Levy daughters and imagined that this room was a sealed compartment in time and space, with an entire world contained within it–an alternative world, independent from reality, where this house with its lights and laughter and beautiful girls had somehow, impossibly, become his home. Film enthusiasts will notice that Jacob’s attempt to marry into this family parallels an Alfred Hitchcock thriller, Notorious (in which Ingrid Bergman marries Claude Rains and reports what happens in the house to Cary Grant). But if you’re going to borrow, take from the best, and Horn has done brilliantly, alternately thwarting and rewarding Jacob so often he doesn’t know which way is up. It’s “no–and furthermore” taken to dizzying heights. Hitchcock would be delighted. 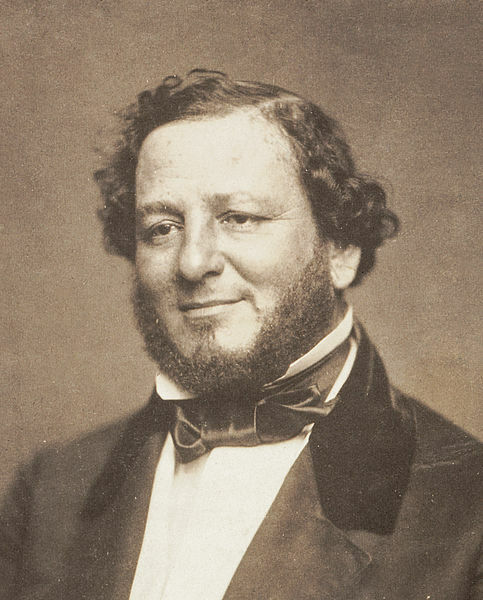 Into this mix, Horn throws Judah P. Benjamin, the Confederacy’s secretary of state, a fascinating figure. Through him, as with Jacob, she shows how difficult it was to be Jewish, but even more, a Jewish statesman. Horn gives Benjamin an eloquent line, “All Hebrews know that there is nothing honorable about subjugation and defeat,” an epitaph for the Lost Cause that one wishes the South had embraced. I’ve complained when authors use their characters’ Jewishness as a tool or symbol, and that it feels skin-deep at best. But here, the Jews are real, as is their complex calculus required to navigate a hostile, bigoted world. Every move Jacob makes becomes freighted with anxious meanings, except when he’s among his brethren. But since those brethren are southern, he still can’t be himself, so the tension never lets up. Despite my admiration for All Other Nights, I think the book could have been shorter; there’s a packed feel to it. The New Orleans segment, Jacob’s first adventure, seems unnecessary and less plausible than the rest. But that part does contain a beautiful scene, a Passover seder in which slaves bring to the table the matzo and bitter herbs, reminders of biblical slavery in Egypt. How Jacob’s southern cousins manage to overlook the irony fascinates him–another way of saying that even if it’s packed too full, All Other Nights always has something to say. Agnes Shanklin, a forty-year-old Ohio schoolteacher, knows she’s ugly, drab, incompetent, ungrateful, unworthy, and just about un-everything else. How does she know this? Why, her sainted mother, may she rest in peace, told her so every day, and Mumma’s voice still resounds in Agnes’s head every time the still-dutiful daughter dares call a thought her own. But it’s 1921, and the influenza pandemic that has killed even more people than the First World War has set Agnes free. Her entire family has died, including Mumma, which results in a financial windfall–three estates to inherit–but, most important, nothing to stop Agnes from learning what life can be like when nobody’s degrading her. On a whim–a new experience in itself–she shops in the fanciest department store in town and manages to hold off the maternal yammer in her ear while she acquires a bob haircut and an up-to-the-minute wardrobe. Thus equipped, she decides to expand her horizons and take a vacation, another first. Her destination is Cairo, and her only companion will be her dachshund, Rosie. 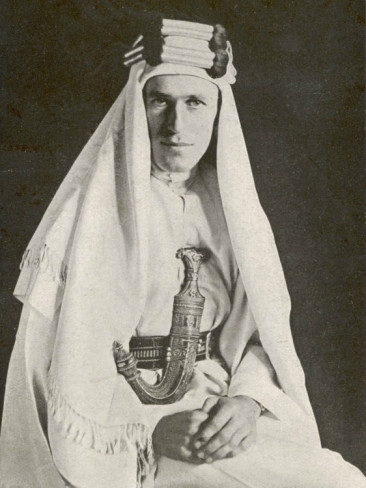 Egypt might seem an unusual destination for Agnes, but she recalls, with excitement, a lecture she attended about Lawrence of Arabia. And it’s nothing short of wonderful that when she reaches Cairo, she meets the man himself–and Winston Churchill, Britain’s minister for the colonies, and Gertrude Bell, the famous Arabist and traveler in the Middle East. They’re in Cairo to negotiate an agreement ancillary to the Treaty of Versailles that will redraw the map as we essentially know it today. Agnes, at first abashed to be in such august company, gradually scrapes her confidence together and contributes to dinner-table conversation about colonial politics, crossing swords with Churchill and Bell. That description illustrates the charm with which Russell has imbued Dreamers of the Day. In the abstract, it seems completely implausible that an Ohio schoolteacher could crash a diplomatic party, let alone be welcomed into its midst, yet Russell makes that work. There seems no reason to doubt that when their paths cross at the best hotel in town, Agnes will be swept up into dinner parties and social excursions. What’s more, I love Russell’s characterizations of the diplomats, especially that of Lawrence, who comes across as more sensitive and thoughtful by half than anyone else there, and believably so. Russell says she’s let the famous characters speak the words they wrote or were ascribed to them in multiple sources, and I believe that too. You must try to feel the hope and amazement of those years. Anything seemed possible–the end of ignorance, the end of disease, the end of poverty. Physics and chemistry, medicine and engineering were breaking through old boundaries. In the cities, skyscrapers shredded clouds. Trucks and automobiles were crowding out horse-drawn cabs and drays in the boulevards below. The pavement was clean: no stinking piles of dung, no buzz of flies. However, this viewpoint also demonstrates the chief weakness of Dreamers of the Day. The sense emerges both between the lines and in them that Agnes realizes what the future will hold, a dramatic irony that needs no emphasis, since the reader already knows that the diplomats failed utterly to create peace in the Middle East. Her uninformed skepticism, especially balanced against the more optimistic views of Bell and Lawrence, sounds forced and artificial. The “hope and amazement of those years” might have served Russell better in Agnes’s mouth. Russell compensates somewhat by letting Agnes fall in love with a man who may or may not be a German spy. Karl offers a political counterpoint to the Brits, but he also shows her attention and kindness and even tells her forthrightly that Mumma doesn’t sound very nice at all. I like this part and wish there had been more of it, for Dreamers of the Day works best when the politics share the narrative rather than overwhelm it. That’s why I don’t understand the last chapter, which drops into magical realism, a mode I dislike and one at odds with the book. It’s there, I think, to allow Agnes to soapbox about subsequent politics–another no-no–when the real story ends in Cairo. Not only that, but as someone who admires Russell’s skill and diligence, I’m startled that she cuts corners about Gallipoli, Churchill’s great failure. I like her take that Churchill was a such a narcissist, he’d never miss a chance to rehash the campaign and exonerate himself. But the scene relies on so many historical inaccuracies, he sounds like an ignorant fool, and that’s plain wrong. So I think that, unlike Doc, which I reviewed in these pages and liked very much, Russell gets ahead of herself in Dreamers of the Day; despite some fun bits, it doesn’t quite come together. When Count Alexander Ilyich Rostov goes before a Soviet tribunal in 1922, he’s not sentenced to death as an aristocratic bloodsucker, which surprises more than a few people, himself included. 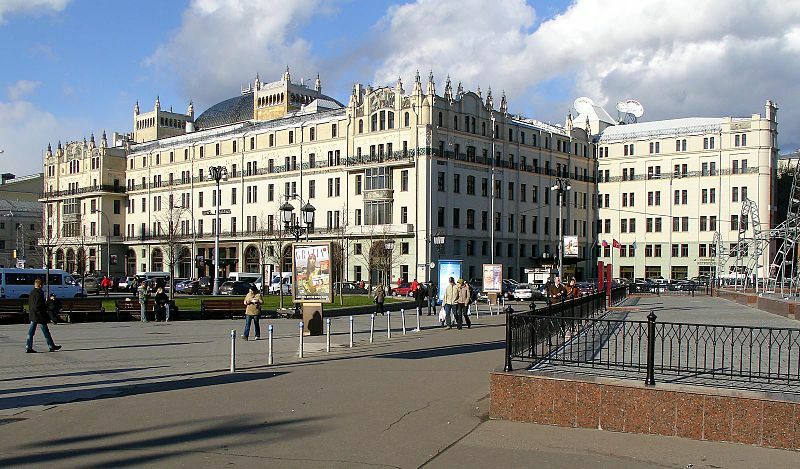 Rather, because he penned a famous poem in 1913 that the new powers believe presaged the revolution, Rostov will now spend the rest of his life where he’s lived the past few years, in the Metropol Hotel in Moscow. Of course, the authorities kick him out of his old suite and take most of his property, which comes as a shock. The attic cubbyhole they’ve allowed him causes an even greater shock, for it has no view of the city and is barely large enough to turn around in. As a Former Person, Rostov must understand that he has no rights, which is to say that if he steps outside the hotel, they’ll shoot him. They’re watching, waiting for him to crack, rather like scientists who’ve designed a social experiment. They’ve assumed that the aristocratic bubble he’s always lived in, represented now by the grand hotel, will pop, and he’ll asphyxiate. Like Robinson Crusoe stranded on the Isle of Despair, the Count would maintain his resolve by committing to the business of practicalities. Having dispensed with dreams of quick discovery, the world’s Crusoes seek shelter and a source of fresh water; they teach themselves to make fire from flint; they study the island’s topography, its climate, its flora and fauna, all the while keeping their eyes trained for sails on the horizon and footprints in the sand. But that can’t be enough, and A Gentleman in Moscow pays full tribute to strong narrative and “no–and furthermore.” Towles constantly ups the ante, to remarkable effect, considering that Rostov’s world is so circumscribed–further proof that tension lies within the mind, not in grand plot points. So it is that one day, Nina, a nine-year-old who always dresses in yellow, approaches the count’s restaurant table and boldly asks him why he shaved off his mustache. From that moment, his journey takes a different, higher trajectory, during which he learns to embrace his captivity and turn it into rich emotional and intellectual experience–a life well lived. Despite official expectations, the Former Person has found social oxygen and breathes deeply once more, a true triumph of the spirit. Towles goes further, however. A friend tells Rostov that he’s the luckiest man in Russia, because, though captive, he’s insulated against the seemingly random terrors the regime inflicts on its citizens. The true genius of A Gentleman in Moscow is how Towles melds the two stories, Rostov’s and Russia’s. Rostov’s search for how to live a good life mirrors that of his country crawling out from under centuries of serfdom, bloodbath, and destruction, much of it self-inflicted. As he works through trying to cope, how to interpret life, how to treat people, what happiness means, and problems brought about by change, he also represents Russia in its myriad facets; the personal stands for and becomes the political, the social, the national. Tolstoy, anyone? Not to go overboard, but there’s no doubt that A Gentleman in Moscow is an ambitious attempt at a Russian novel, including the discursive discussions about every theme under the sun. It’s also mostly successful, I think, its sole failing a tendency to make Rostov’s adventures a little too marvelous and therefore incredible; this is Soviet Russia, after all. Nevertheless, Towles’s love for literature triumphs, for his is a literate and literary book, with legitimate roots in the Russian masters. Not only is the scope, discursiveness, and person-as-universe Tolstoyan, Count Rostov calls to mind his namesake in War and Peace, a genial but feckless soldier, a good-time boy who turns devoted family man. Other Russian literary references abound; for instance, Nina’s yellow clothes evoke Crime and Punishment, in which Dostoyevsky uses that color to symbolize imprisonment, literal or figurative. If you’ve read these writers, you’ll chuckle often at A Gentleman in Moscow, as when you meet Marshal Kutuzov, the hotel cat named for the general and Tolstoyan character who defeated Napoleon (both cat and human have one eye). And even if you haven’t read its predecessors, A Gentleman in Moscow will still be great fun and thought-provoking. Towles has set the bar very high.